Today, November 30, we celebrate Bonifacio Day. Andres Bonifacio founded the Kataas-taasang, Kagalang-galangang Katipunan ng mga Anak ng Bayan, or simply Katipunan or KKK — and as such he was also called the father of the Katipunan. The Katipunan, a secret revolutionary society, fought valiantly for the Philippine Independence since 1892. As great as our brave Katipuneros were, the revolution would not be as successful without the strong women who fought along with them. 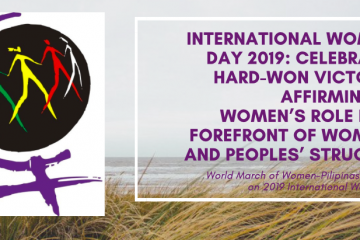 These courageous notable women include Gregoria de Jesus, Melchora Aquino, Teresa Magbanua, Henerala Agueda Kahabangan, and Trinidad Tecson, among others. Even before the Katipunan was created, there were other women who bravely fought for our country such as Gabriela Silang. 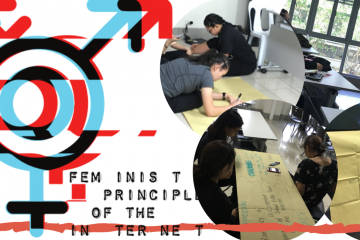 Philippine revolutionary history is not only about the story of our gallant men but also of the fearless women. 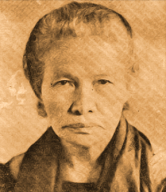 Gregoria Alvarez de Jesus, also known as Ka Oriang, (May 9, 1875-March 15, 1943) was the founder and vice president of the Katipunan’s Women’s chapter. She also served as the custodian of the Katipunan as almost all belongings of the Katipunan — seal, revolver, documents — were under her care. As such, when the Guardia Sibil would conduct search operations within their vicinity, she would gather all Katipunan-related items and documents and drive away, even all night, as needed, to ensure that the Katipunan would not be discovered. She also joined the war; she too took arms and fought. Melchora Aquino, popularly known as Tandang Sora (January 6, 1812 — March 2, 1919), was known as the “Mother of the Revolution.” During her time as a supporter of the revolution, she would feed the Katipuneros, provide them shelter and other necessary provisions, and tend to their wounds. 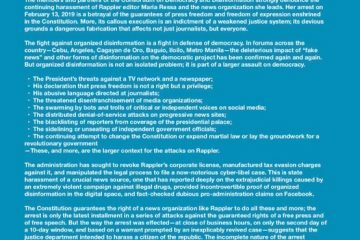 When she was arrested and jailed by the Spaniards, she refused to reveal about her knowledge of the Katipunan despite the interrogations. She was deported and exiled to Guam, and was only brought back to the Philippines when she was repatriated by the US government. Teresa Magbanua, or Nanay Isa, (October 13, 1868 — August 1947) was known as the “ Visayan Joan of Arc.” She was a Filipino school teacher and military leader. 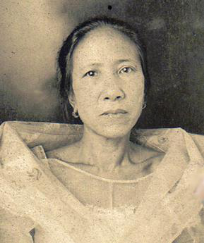 When the Philippine revolution began, she did not hesitate in joining the Katipunan despite the opposition of her husband. She was known to have joined and led numerous battles against the Spaniards and the Americans. She was arguably the bravest Ilonggo woman in her time as she had been known as the only woman to have ever led troops in the Visayan region during the revolution. Agueda Kahabagan, also known as Henerala Agueda, was the only known female general of the Army of the Filipino Republic. She was known as fierce combatant in the battlefields of Laguna as she rode a white horse and used rifles in battle. 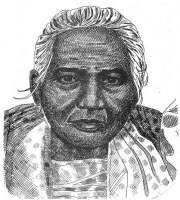 Trinidad Tecson (November 18, 1848 — January 28, 1928) is known as the “Mother of Biak na Bato.” She joined the revolution in 1895 at the age of 47. She pilfered firearms, delivered food, and tended to Katipuneros’ injuries. She was also known as a brave soldier as she had joined numerous fights such as in San Ildefonso, San Miguel and San Jose, Nueva Ecija. She has served under numerous generals, with Gen. Emilio Aguinaldo in Biak-na-Bato being the most notable. Even before the Katipunan was founded, revolts from across the Philippines have long existed. 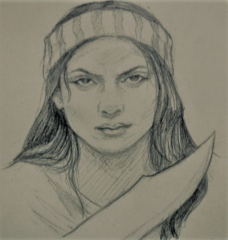 One of the most notable revolts was led by Gabriela Silang.